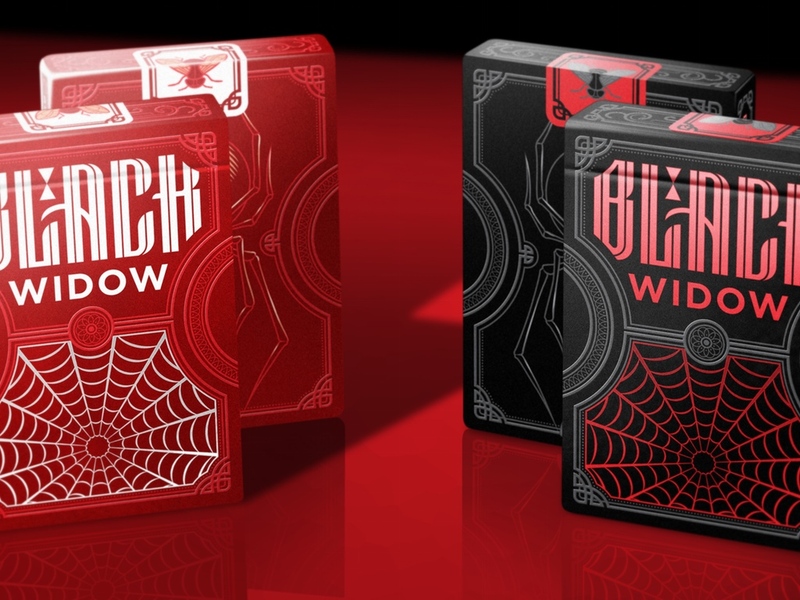 After a fantastic job in Coat of Arms, Justin Froid and J.Gonzo (Jamm Pakd Cards), launch their new deck: Black Widow. 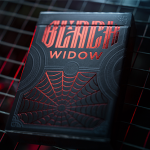 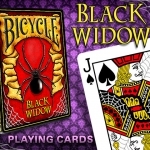 There is not a complex and emotional story behind this deck, but only the desire to create really cool cards inspired by one of the most dangerous creatures in the world, but only for her husband: the black widow spider. 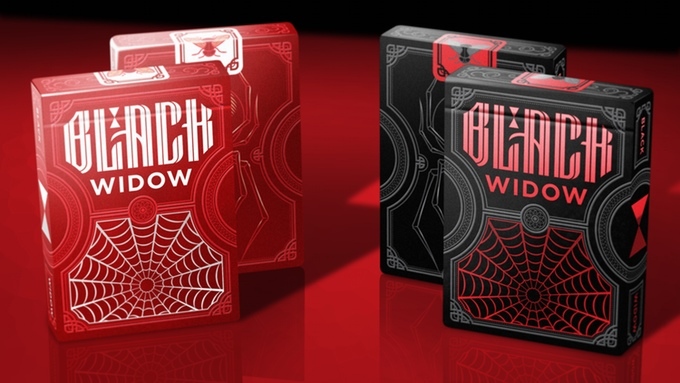 The graphics are really elegant, with simple but striking lines, with a tasteful combination of black, white and red colors. 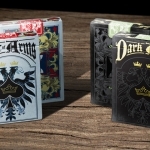 Everything in these decks have been customized. 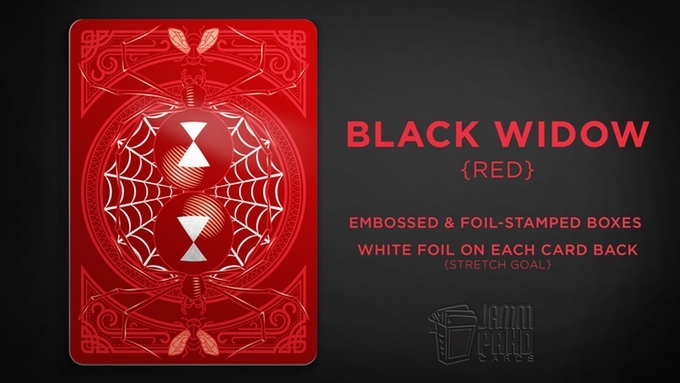 Not only indexes and special cards, but also the court cards, with a completely new aspect, but preserving a classic look. 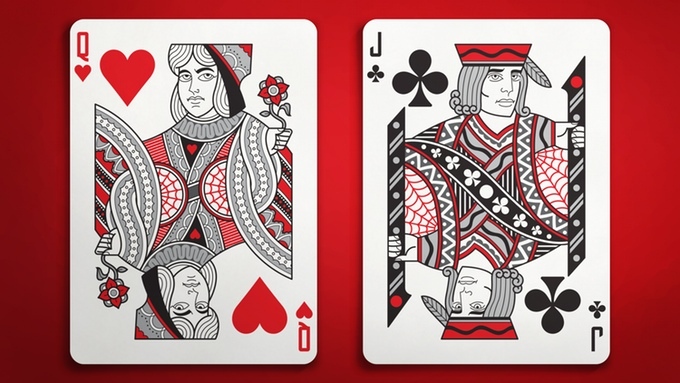 Two editions will be printed, Black and Red. 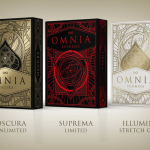 Both have an embossed and red and white foiled tuck case respectively. 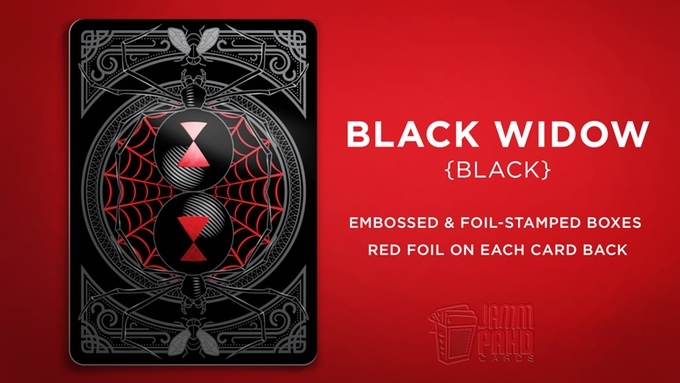 In addition, the card backs will also have foil, something that EPCC, responsible for printing, has made just a few times. 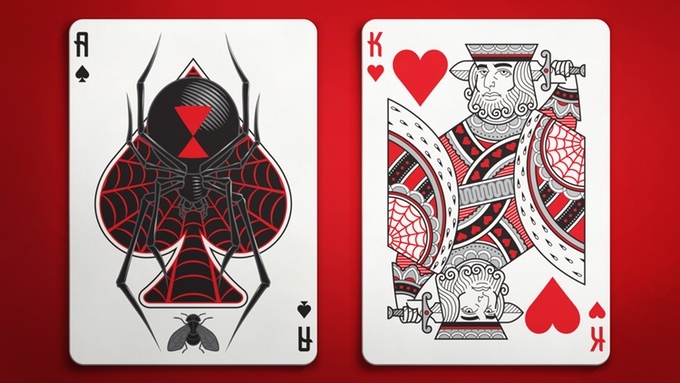 If you like the style, raise your pledge and get your set in the project website.